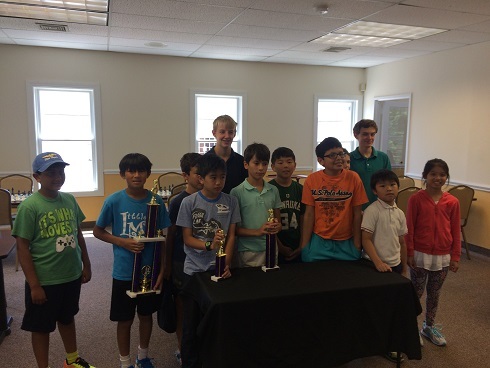 This week we hosted 44 eager players for our monthly K-12 Scholastic Championships! In our K-2 section, we had twelve players who demonstrated tremendous sportsmanship and excitement for the game. Alan Wang, Easton Rha, Nishant Jain, and Jasmine Thiessen earned first through fourth place respectively, each with 3 total points. Aaryan Aggarwal followed close behind in fifth place with 2 total points. 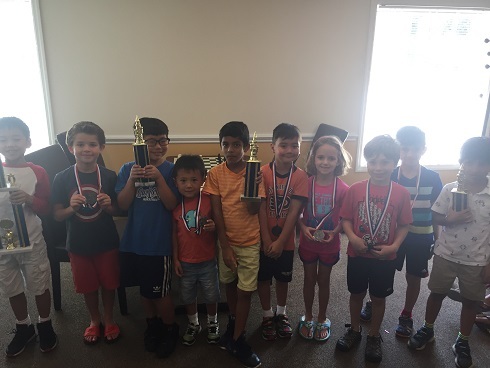 Sixteen players competed in the K-5 Section, making it one of our largerst sections of the day! Sahil Vora played a perfect game and earned first place with 4 total points! Rebecca Rha and Graydon Leicht earned second and third place respectively with 3 total points each. 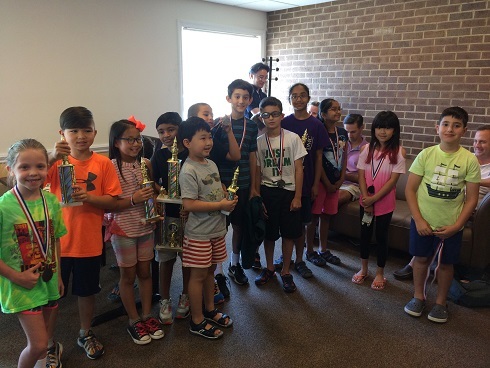 Chenxi Lu and Shreya Sundarsanam followed close behind in fourth and fifth place respectively, each with 2.5 total points. K-12 was our most competitive section, with sixteen competitors playing three G/45 games. In first place, Matthew Liew earned a near-pefect 3 total points to secure his top spot. Nicholas Kurbanov followed close behind with 2.5 total points. Miles Gillott, Ian Pittenger, and Peter Liu earned third through fifth place respectively each with 2 total points. Congratulations all the winners and thank you to all the participants. We hope to see you all again soon!